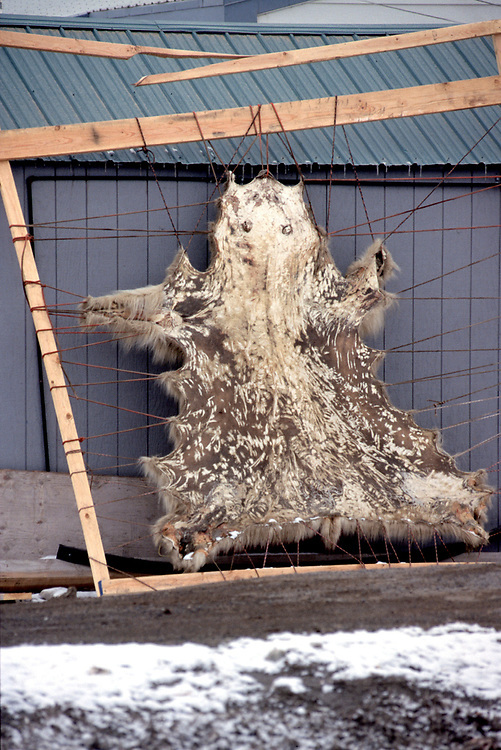 Polar bear skin in drying rack. Natives are allowed to hunt polar bears. They cannot sell the whole skin but can sell the crafts and clothes made out of it.